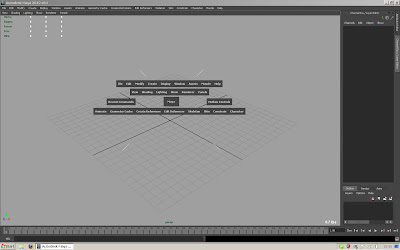 Here are some Maya settings I prefer over the default ones. Maybe there is something useful for someone else. It's all MEL code, so it can be copied in the script editor. // Reason: Undo gets broken if you scroll the mouse, while the mouse-wheel is pressed. // Reason: Increase viewport space. // Or hotBox, left-click in empty space in the right quarter. // Disable the interactive Polygon / NURBS creation. // Reason: To save clicks / time. I get to the desired shape faster using modeling tools. // Playback range of 100 frames. // Reason: I use the hotbox for most operations, so I want it to be small to be able to click faster. // Reason: Save space, it does not help me. // The following command does not work, because it will not get stored to the default move tool context.